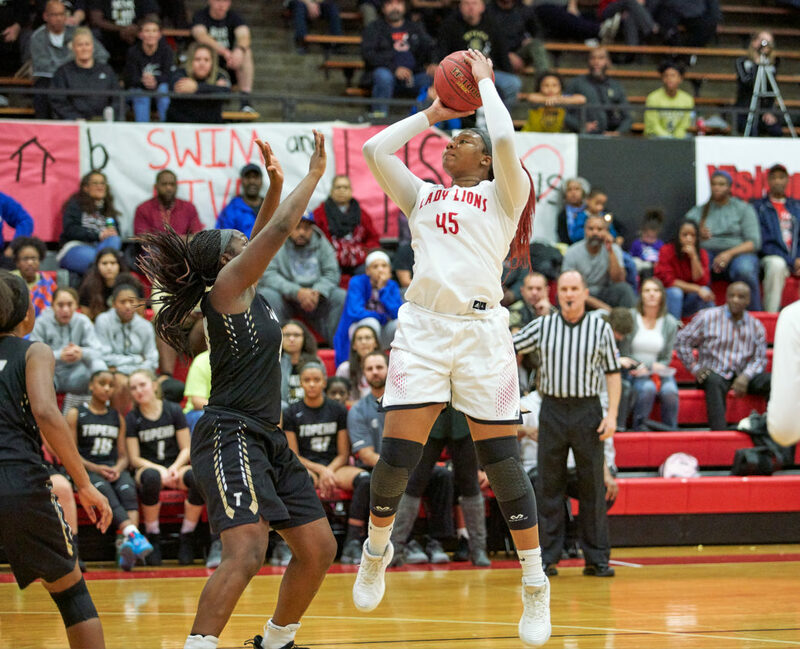 Lawrence High senior Chisom Ajekwu (45) shoots over Topeka High's NiJaree Canady (40) in the first quarter on Nov. 30, 2018 at LHS. 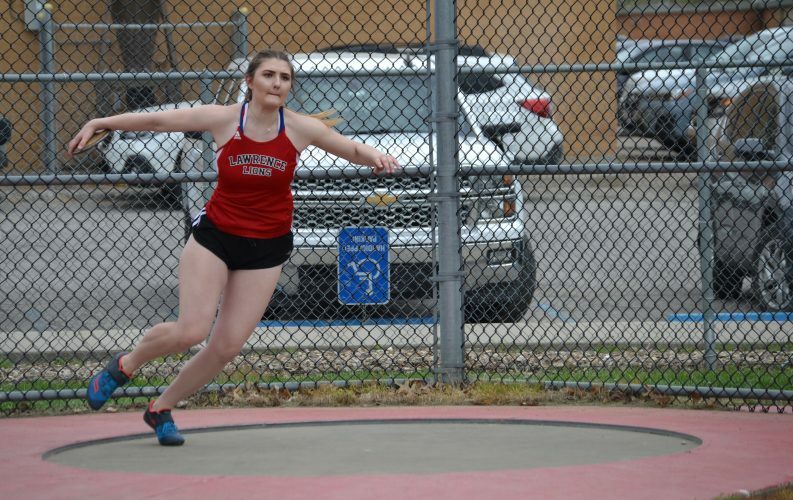 Area athletes got off to a strong start in 2019, posting stellar individual performances in January. It is a privilege to cover high school sports in Lawrence, because there is never a shortage of spectacular athletes in the area. 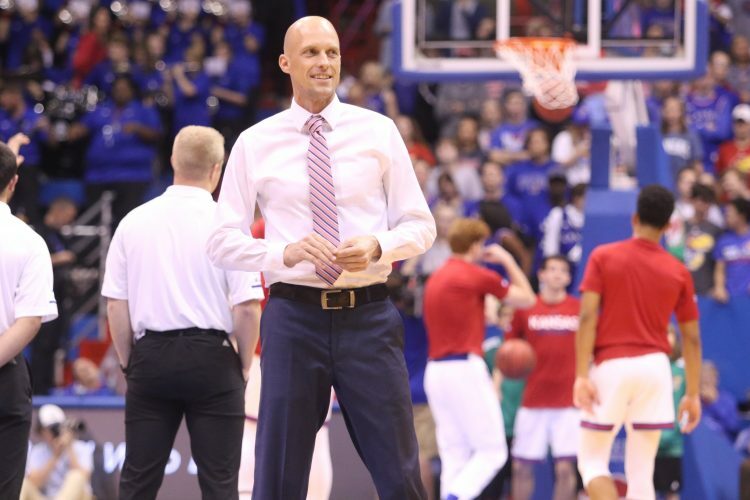 Just look at how many basketballs teams are ranked in the latest poll by the Kansas Basketball Coaches Association. On the boys side, Lawrence (No. 3 in Class 6A), Free State (No. 8 in Class 6A), Eudora (No. 9 in Class 4A), Perry-Lecompton (No. 10 in Class 3A) and Bishop Seabury (No. 3 in Class 2A) are all ranked. Baldwin (No. 4) and Eudora (No. 10) are both ranked in the latest girls basketball poll, as well. Free State’s wrestling team is also ranked No. 8 in Class 6A. Many of these teams netted crucial wins in January, coming home with some sort of hardware from a tournament-heavy month. But that would not have been possible without the help of some standout performers, so let’s reflect on those particular accomplishments. 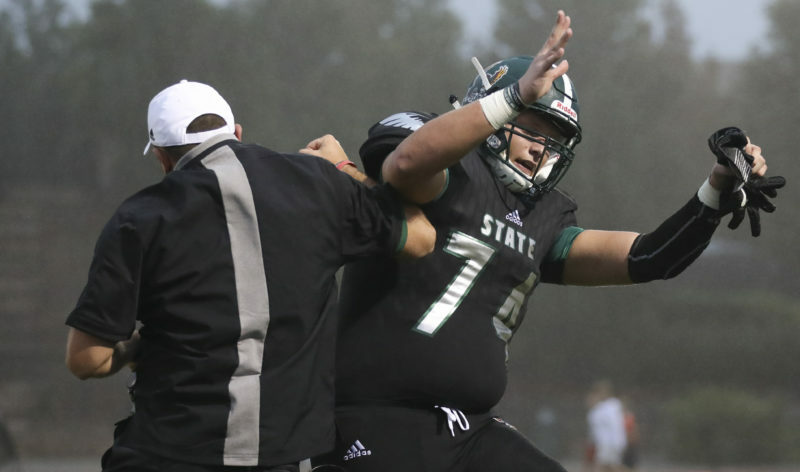 Joey Eddis, Free State — Few athletes had as good of a month as Eddis, who is the fourth-ranked wrestler in the 170-pound weight class in Class 6A. In all four tournaments, Eddis (25-3) finished first or second in his weight class. 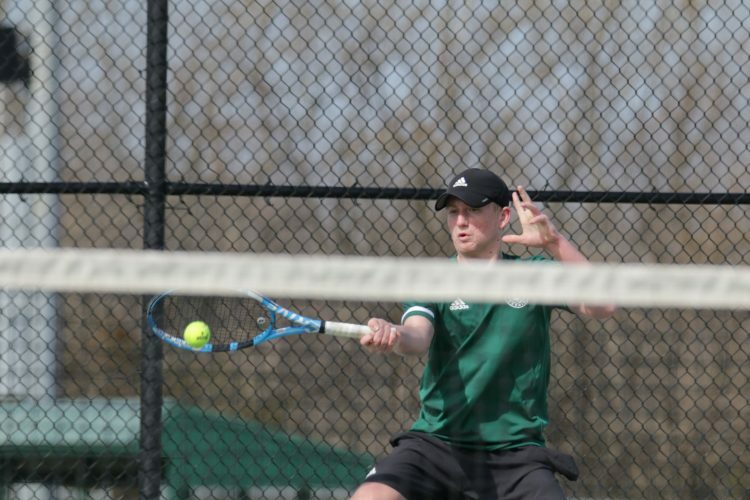 He claimed wins at the Shawnee Mission South tournament and Bobcat Classic, while notching second at the Husky Invitational and Junction City Invitational. Free State’s Joey Eddis tries to shake free of Olathe North’s McCoy Stoker at the Class 6A state wrestling tournament on Feb. 25, 2018 at Hartman Arena in Park City. Lawrence’s wrestling duo — Both Kevin Honas and Logan Farrell had an impressive month, so they both deserve to be recognized. Honas, who is ranked No. 5 in the 106-pound weight class, netted three podium finishes in as many tournaments. Honas (24-8) notched second at the Husky Invitational, and claimed third at the Chanute tournament. Farrell (No. 5, 113-weight class) registered second at the Bobcat Classic, and claimed third at the Chanute tournament. Tonganoxie’s wrestling tandem — Tonganoxie teammates Korbin Riedel and Grayson Sonntag sent a message to Class 4A with first-place finishes in their respective weight class at the Bobcat Classic. 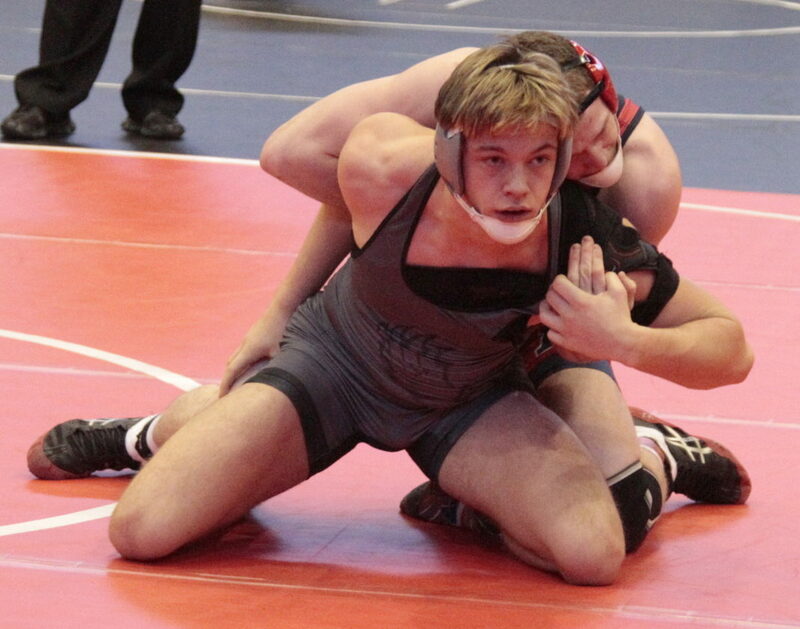 Riedel, a senior, merely proved why he is the top-ranked wrestler in the 152-pound class. Sonntag, meanwhile, defeated a pair of No. 1-ranked wrestlers en route to a title in the 106-pound class. The freshman has since been moved up to No. 2 in his weight group in Class 4A. 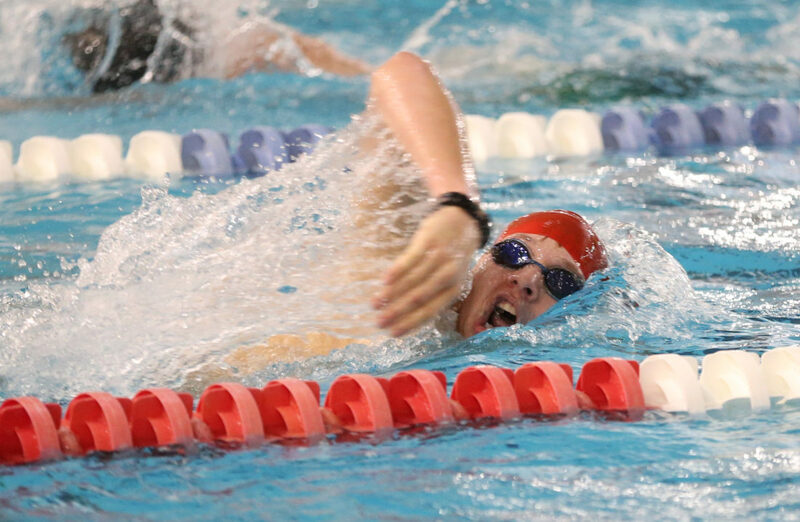 Tyler Jones, Lawrence High — For the most part, Lawrence’s boys swim team used a balanced effort to be competitive in most meets during the first month of 2019. 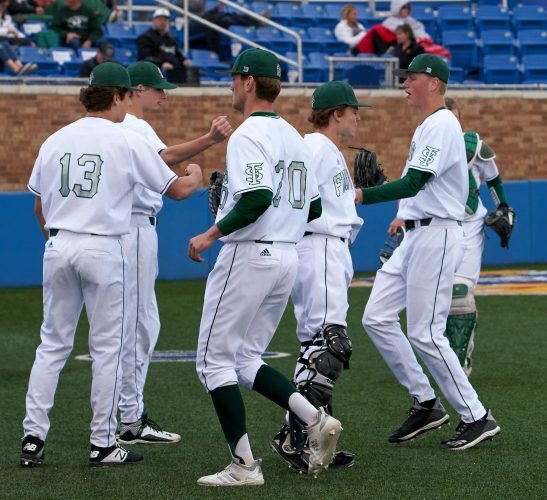 In the team’s lone victory, however, sophomore Tyler Jones led the way. Jones secured a victory in the 200 and 500 freestyle events to help the Lions claim first place in their home meet on Jan. 17. Lawrence High’s Tyler Jones competes during the Boys 200-yard freestyle event of the Free State Quadrangular on Wednesday, Nov. 29, 2017 at Free State High School. Free State’s prolific swimming pair — Like the two wrestling duos selected, it was tough to pinpoint just one FSHS swimmer worthy of a highlight. Benjamin Vorthmann and Reilley Moore led the Firebirds in individual wins this past month. Vorthmann and Moore each claimed seven victories in individual races. 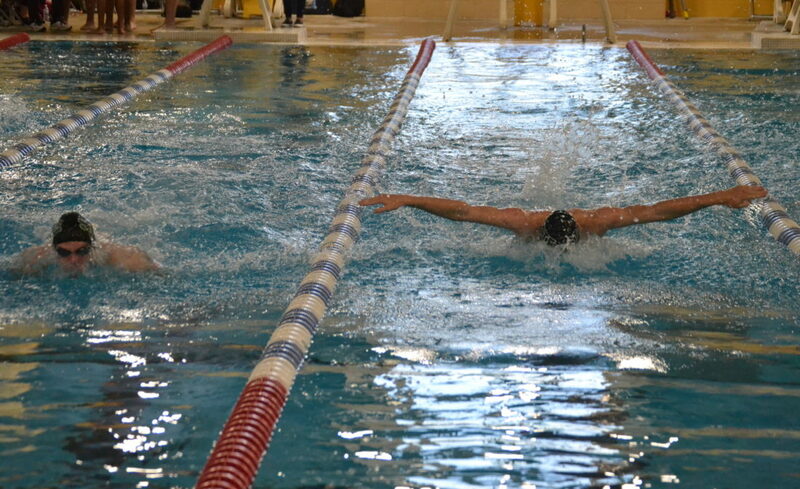 As a team, Free State never finished lower than second in a meet. Chisom Ajekwu, Lawrence — It was quite the month for Ajekwu, who was nominated for the 2019 McDonald’s All American Games. Ajekwu, a KU signee, averaged 19.5 points per game for the Lawrence High girls basketball team. The 6-foot-3 center scored at least 12 points in all eight games in January, netting 24 points on three different occasions. Colton Mallonee, Perry-Lecompton — The Perry-Lecompton boys basketball team has won 10 games in a row, including seven double-digit victories in January. Mallonee, a senior, has been a big reason for the dominating stretch. Mallonee averaged 14 points per game in January, scoring a season-high 24 points against Jefferson County North on Jan. 15. Zach Bloch, Bishop Seabury — Bloch had the final say in arguably the best area game of the month. Bloch buried a step-back triple at the buzzer to help the Bishop Seabury boys basketball team take down Veritas by a 51-50 margin on Jan. 11. The late-game heroics came one game after Bloch scored 30 points in a win over KC Christian. It was not a bad stretch for the sensational sophomore. 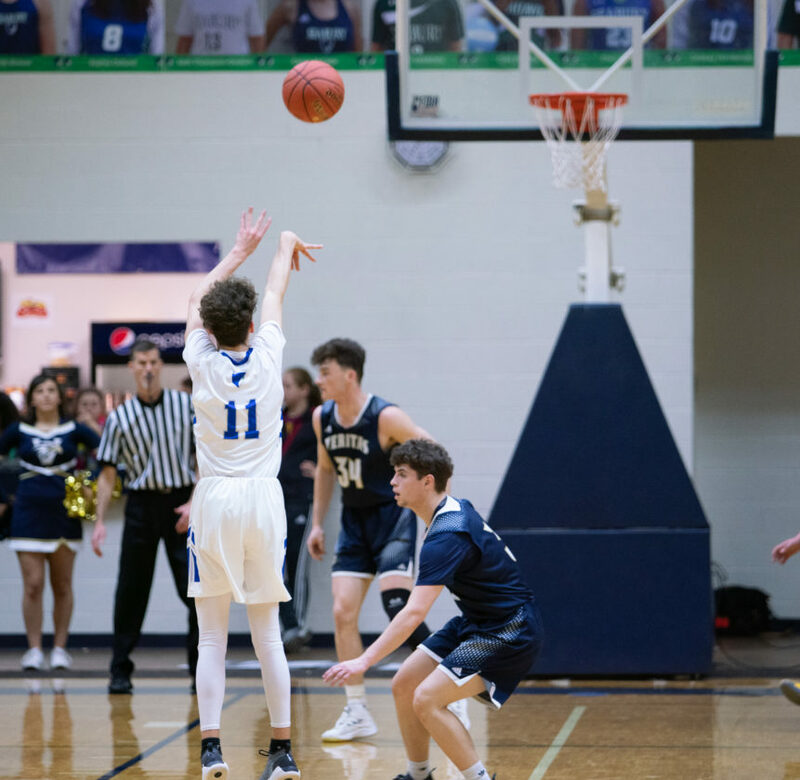 Bishop Seabury’s Zach Bloch (11) shoots a 3-pointer as Veritas’ Jackson Rau (5) defends him on Friday, Jan. 11, 2019, at Bishop Seabury Academy in Lawrence. Eudora’s stellar sisters — Both Reagan Hiebert and Riley Hiebert helped the Eudora girls basketball team crack the top 10 in Class 4A via the coaches poll. In fact, they were both recognized on the all-tournament team following strong showings in the Tonganoxie tournament. Last time out, the Hiebert tandem combined for 26 of the team’s 66 points in a win over Ottawa. Macey Frost, Baldwin — Frost has been a constant force for the Baldwin girls basketball team this year. Frost, a senior point guard, is leading the team with an average of 13.5 points per game to go along with 3.1 assists per contest. She scored at least 9 points in all but one game in January, including a 22-point effort against Anderson County.